The Victorian Government is committed to reform the State’s emergency management arrangements to create safer and more resilient communities. This includes the review and redesign of Victoria’s relief and recovery system. Following a series of successful and engaging regional workshops, EMV has continued to work closely with key partners to develop the Resilient Recovery Strategy outline. We would like to take the opportunity to thank those that came along and dedicated their time and expertise and shared their experiences of recovery with us. The outputs and feedback developed with you, through the regional workshops form the foundations of the Strategy outline. EMV also held an additional state government workshop session, giving state partners a further opportunity to contribute. For those interested in accessing the output reports from these sessions and the Strategy outline, you can access all of them through the links listed on this page. Late last year, the Strategy outline was discussed and endorsed by the Secretarys from a number of the state departments who applauded the inclusive approach and commitment by all involved in its development. Many departments and organisations represented will continue to work with EMV on the next stage of development of the Strategy. EMV will work with these key agencies to further build on the draft Strategy and deliver a detailed implementation plan. You can stay updated on the progress of the implementation plan and further opportunities to contribute to the Resilient Recovery Strategy through the Resilient Recovery Newsletter. You can access the archive of the newsletter or subscribe here. Since early 2017 Emergency Management Victoria’s Relief and Recovery Directorate has been collaborating with stakeholders across the emergency management sector to develop a strategy that will guide the ongoing reform of relief and recovery in Victoria. There were 57 submissions to the discussion paper from a wide range of stakeholders, these included local governments, individuals, community groups, and the private sector. Many of these responses were from individuals or organisations with personal and professional experience of the recovery process after an event. Throughout 2017, EMV continued to consult with a broad range of stakeholders to draw together the common themes of these submissions and build consensus on key elements of the Resilient Recovery Strategy. Through this process there has been strong support for a system-wide approach to building preparedness for relief and recovery - one that is community-focused, flexible and sustainable. EMV has also begun to identify a number of key actions that can support us to achieve this shift. In partnership with the Department of Health and Human Services, EMV will soon begin a series of workshops across the state with community, industry, regional and local stakeholders to test these initial ideas and further develop a strategy for sector-wide reform. The Pilot workshop will be held in Benalla on 9 May 2018, with the remaining workshops to be held in June. Invitees will include local council Municipal Recovery Managers and Emergency Management Coordinators, representatives of local health and human services agencies, department and agency representatives on Regional Emergency Management Teams, community and industry representatives, and a number of individuals involved in recovery activities over the past few years. If you have any comments or questions, please contact Emergency Management Victoria, Relief and Recovery team at recovery.reform@emv.vic.gov.au. EMV received over 55 responses to the Discussion Paper: Resilient Recovery and will spend the next few months consolidating the feedback received into the development of the Resilient Recovery Strategy. Focusing on communities, adopting an outcomes based approach and understanding recovery as a system will allow the developing Strategy to identify and align key priorities and strategic actions, strategically resource and invest in recovery before, during and after emergencies, mobilise and utilise capability and capacity across our diverse partners, and monitor and evaluate the effectiveness of recovery coordination and programs. Over the coming months EMV will continue to work with partners to develop a draft for wider consultation towards the end of 2017. Victoria's relief and recovery arrangements have been in place for many years. While the improvements to emergency relief and recovery arrangements have served Victoria well and will continue to do so, more comprehensive reform to relief and recovery is needed. The reform is supported by a number of reviews and reports arising from major emergencies. Emergency Management Victoria, through the recently released Discussion Paper, is leading collaborative consultation over the coming months with a diverse range of stakeholders across community, government, agency, business, and academia. We aim to generate discussion on reform, and enable collaboration on the development of a future strategy for relief and recovery in Victoria. to identify opportunities for growth, renewal and innovation. 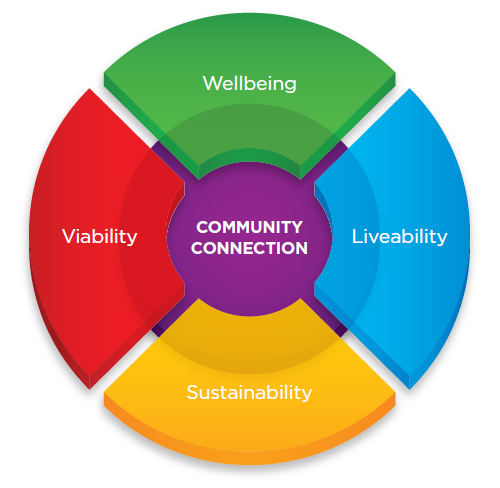 The Resilient Recovery Model, introduced in the Discussion Paper, connects community systems and networks to plan for and support wellbeing, liveability, sustainability and viability outcomes. Individuals, communities, agencies, government, academia, and business now have an opportunity to engage and discuss the model and think creatively. We encourage you and your networks to share your ideas and views by making a submission. To make a submission, please read the Discussion Paper and refer to the questions posed. You may choose to respond directly to some or all of the themes and questions in the Discussion Paper. When responding, please frame your response with the necessary detail to enable our consideration of your contribution. You may want to think about collaborating with other partners or communities to develop a response. We also encourage you to challenge the current systems and propose new ways of thinking beyond those proposed in this paper. Responses close Thursday 28 April 2017. Your details will be dealt with in accordance to the Privacy and Data Protection Act 2014. Your submission will not be made available to the public as part of this consultation. Should you have any queries or wish to gain a copy of your response, please contact us at recovery.reform@emv.vic.gov.au.